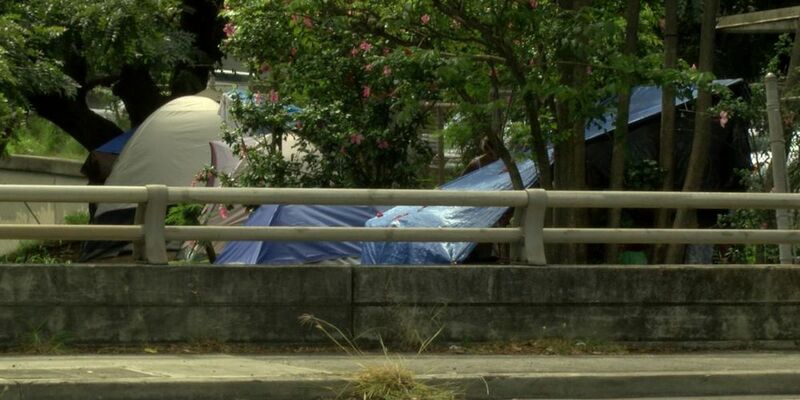 HONOLULU (HawaiiNewsNow) - A sprawling homeless community at the top of embankments on the H-1 Freeway near Downtown Honolulu is causing significant safety concerns. But the state says it's limited in what it can do to move the homeless from the area. Drivers zipping by the area see a row of tarps and tents. But to the people who camp there, it's home. "We can't afford rent," said Corinne Aipia, who's been living in the area for seven months. "What's the use of going out and renting some place if you know you're not going to be able to afford it?" Aipia said she feels more comfortable wedged in between the freeway and the parking lot of the Nuuanu YMCA than she did on the streets in Chinatown. Still, she said, the area can be dangerous. Campers are often robbed by outsiders, and the proximity to the H-1 Freeway is a concern. 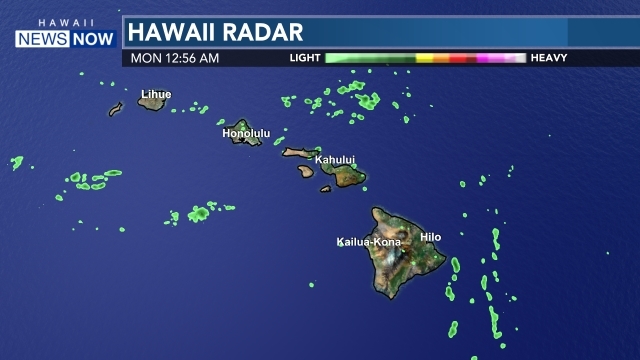 Aipia told Hawaii News Now there are no families living in the encampment, just adults. Most struggle with meth. "Whatever addictions any of us have we try to maintain it in our own camp, and not bring it in the public's eye," she said. 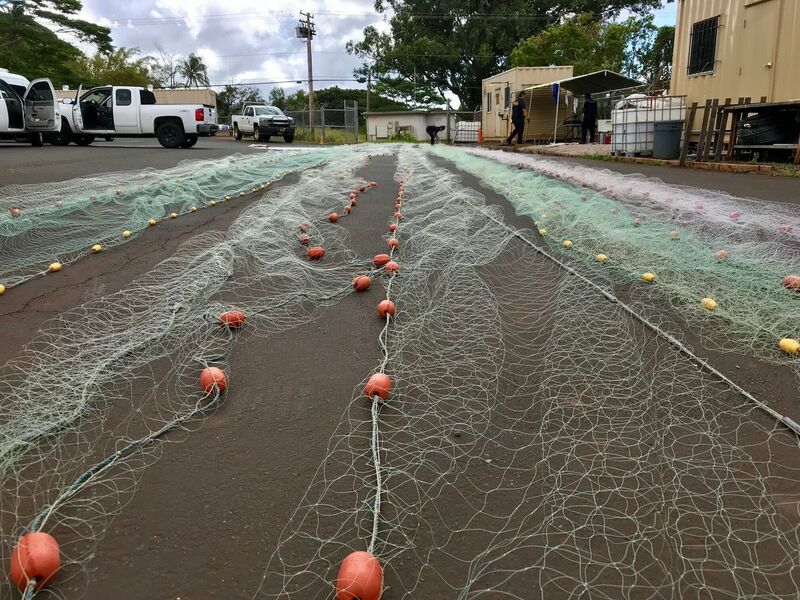 Scott Morishige, the governor's homeless coordinator, said the land that borders the H-1 Freeway is maintained by the state Transportation Department. "Workers respond to immediate health and safety concerns, like items on the roadway," he said, in a statement. "HDOT also removes trash or debris left behind when individuals vacate an area. Currently available resources and manpower only provide for one statewide clean up by HDOT crews per year." But Aipia said workers sweep more often than that. And, she said, people in the area do their best to keep things tidy. Outreach teams are also working to connect the homeless with housing. "I figure the more we clean up the area, the longer we get to stay until everything falls in place with the housing and whatever I signed up for to help myself," Aipia said. Morishige added to improve the state's ability enforce criminal trespass laws on state lands, the administration has introduced a number of bills to close loopholes in the existing laws.